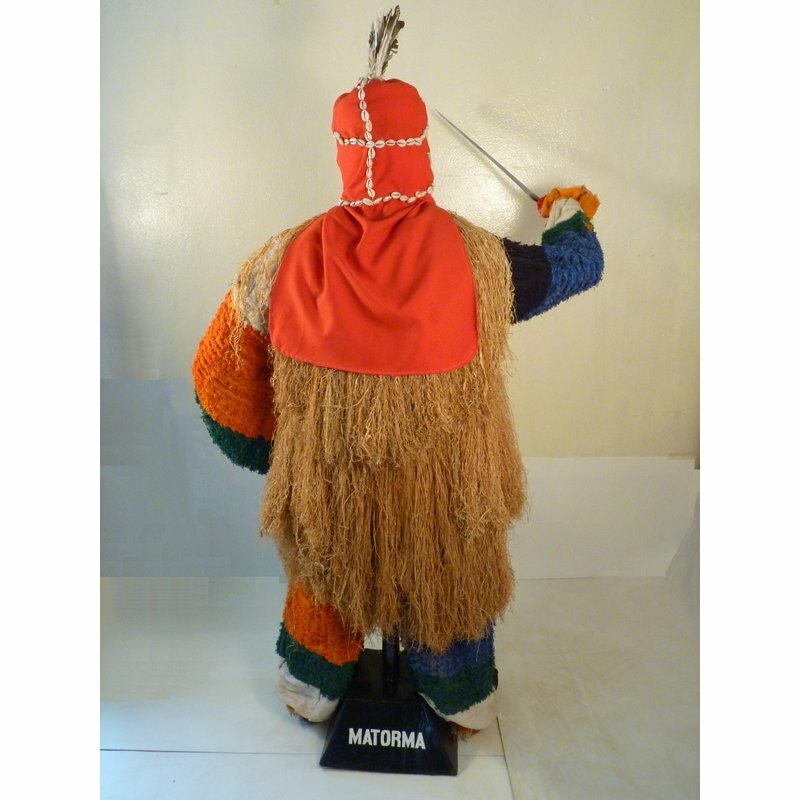 The Matorma is a Limba masquerade figure belonging to the Gbangbani Society. 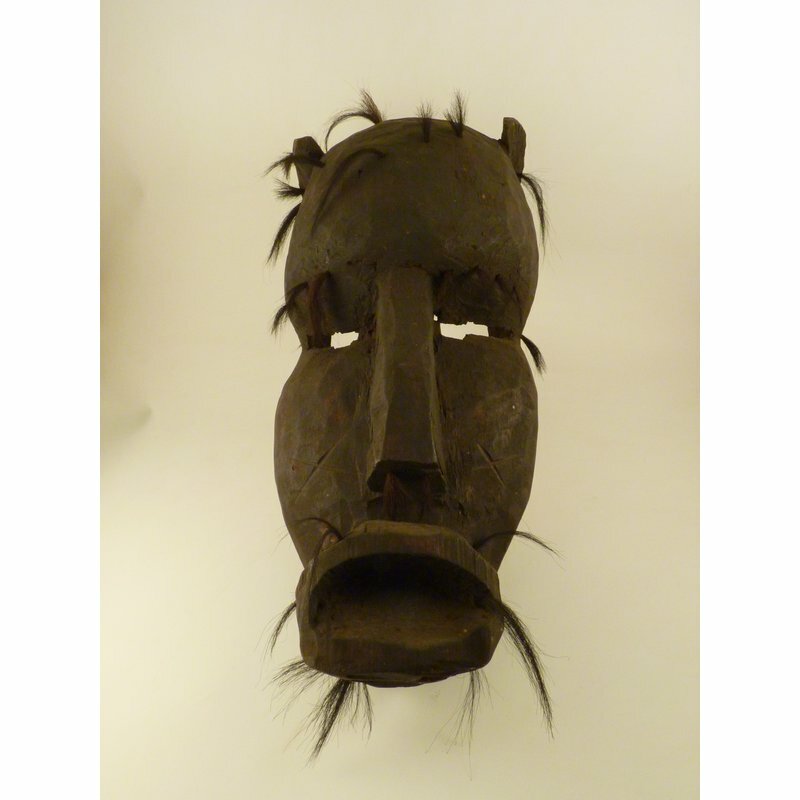 Traditionally, it comes out to seek out witchdoctors and other evil-doers. 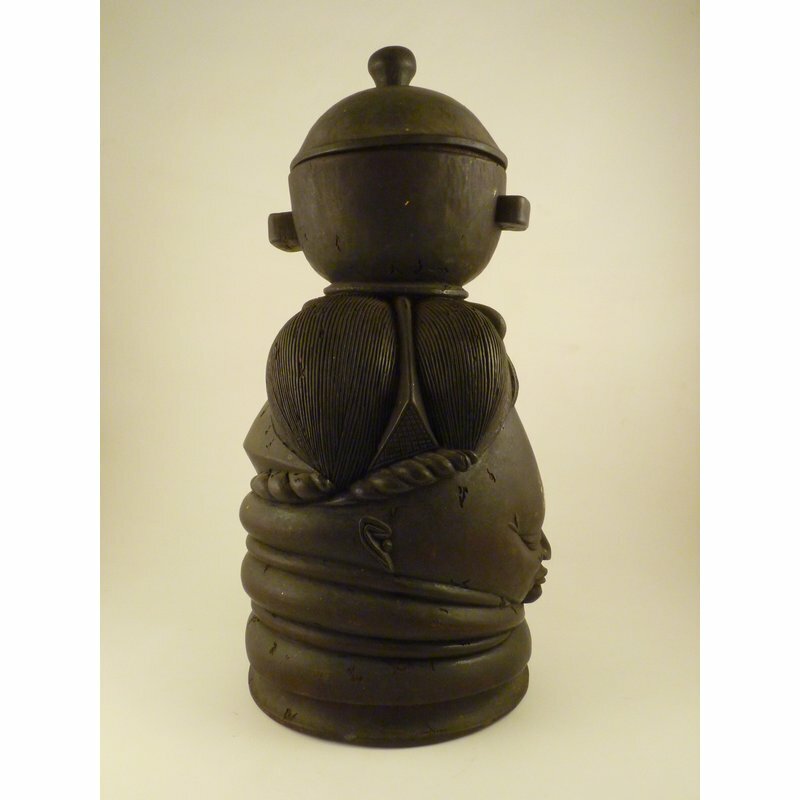 The horsetail in the figure's left hand serves as a shield to defend against witches. It also serves as a communication device to call other senior Society members for help if needed. 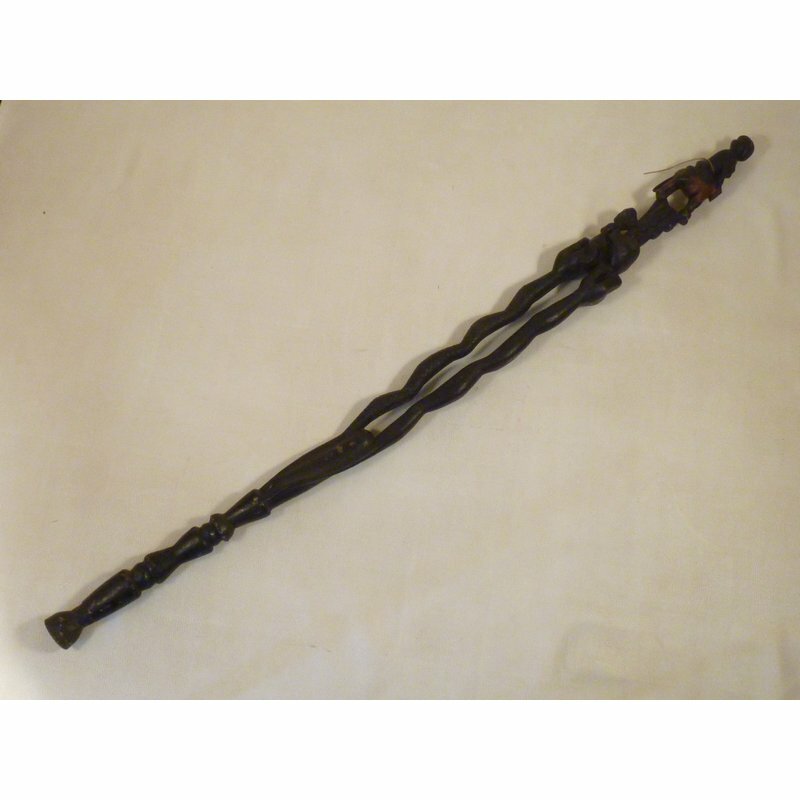 A cutlass in the right hand is used to attack evil-doers but the attack is spiritual and therefore invisible. 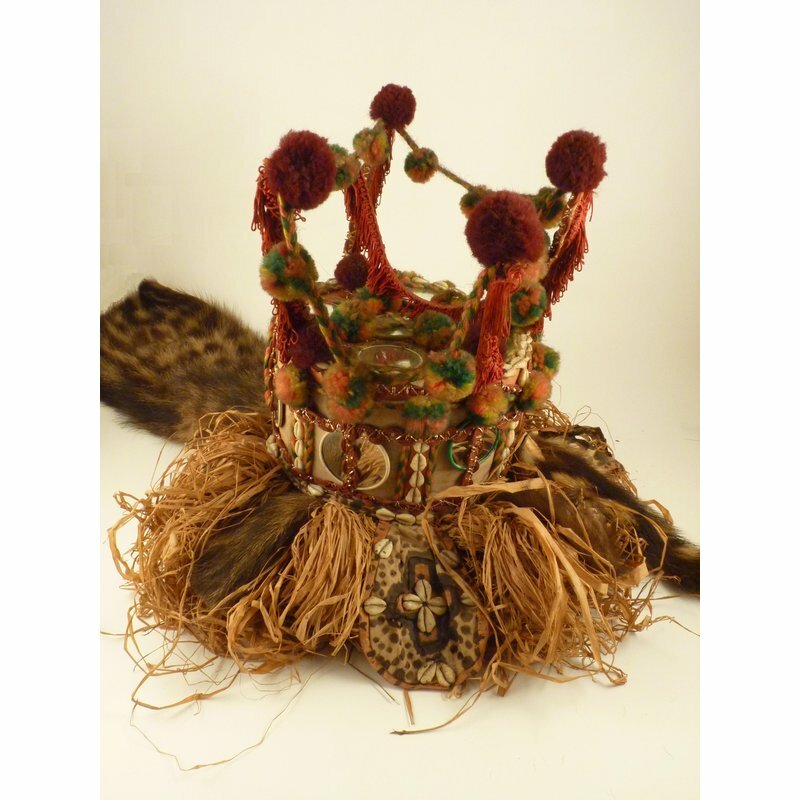 The head is red to tell witches that danger is coming and the cowrie shells blind the witches so they cannot do any harm against the Matorma. 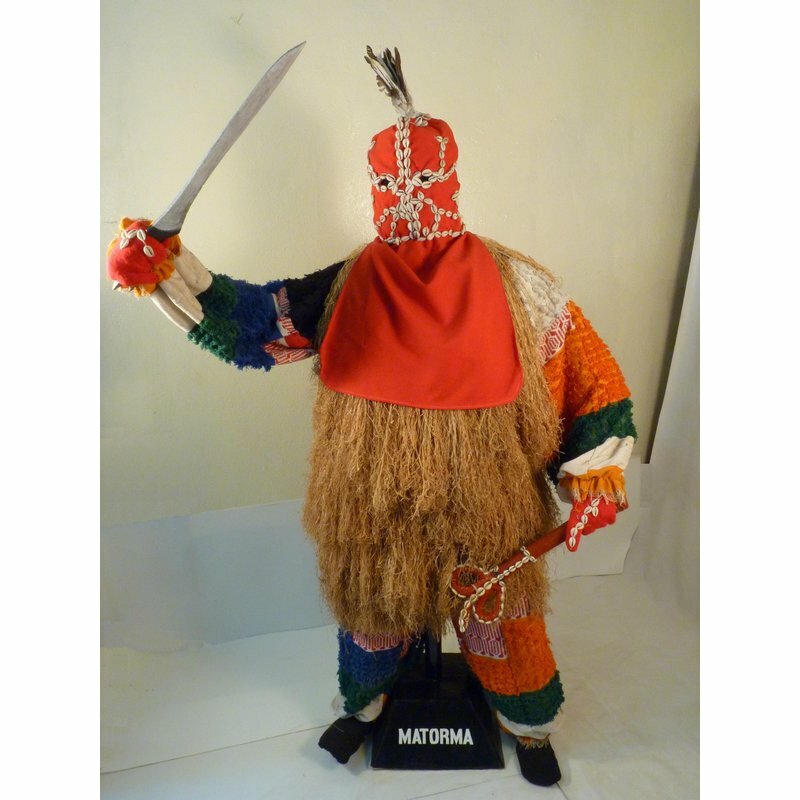 When the Matorma comes out and kneels, everyone around has to kneel as well, those who do not are evil-doers and they will be cursed. 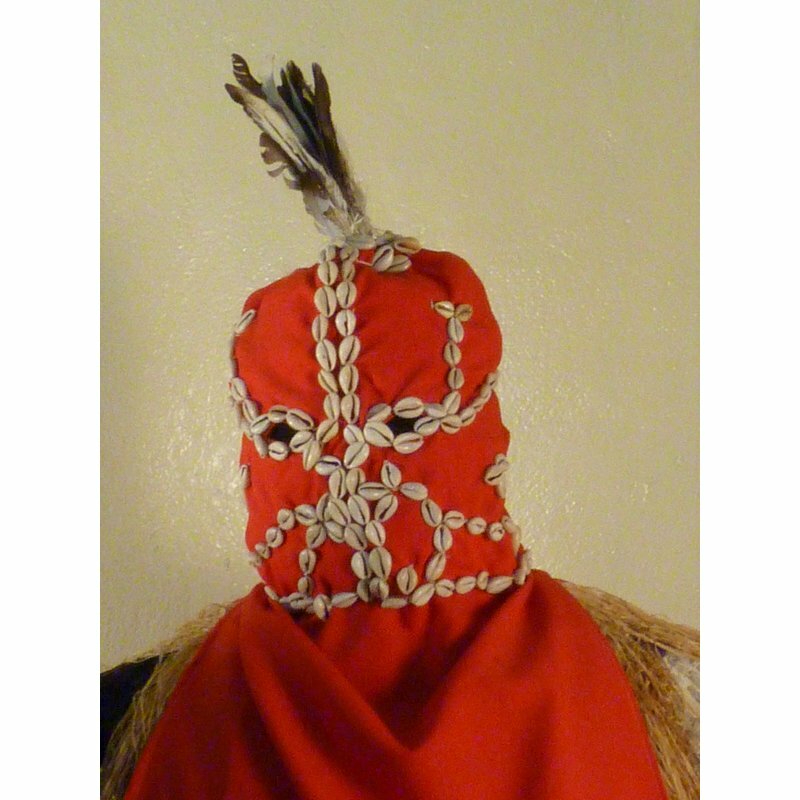 Because this is a powerful devil, only certain members of the Gbangbani are allowed to perform the Matorma; it is a senior position. 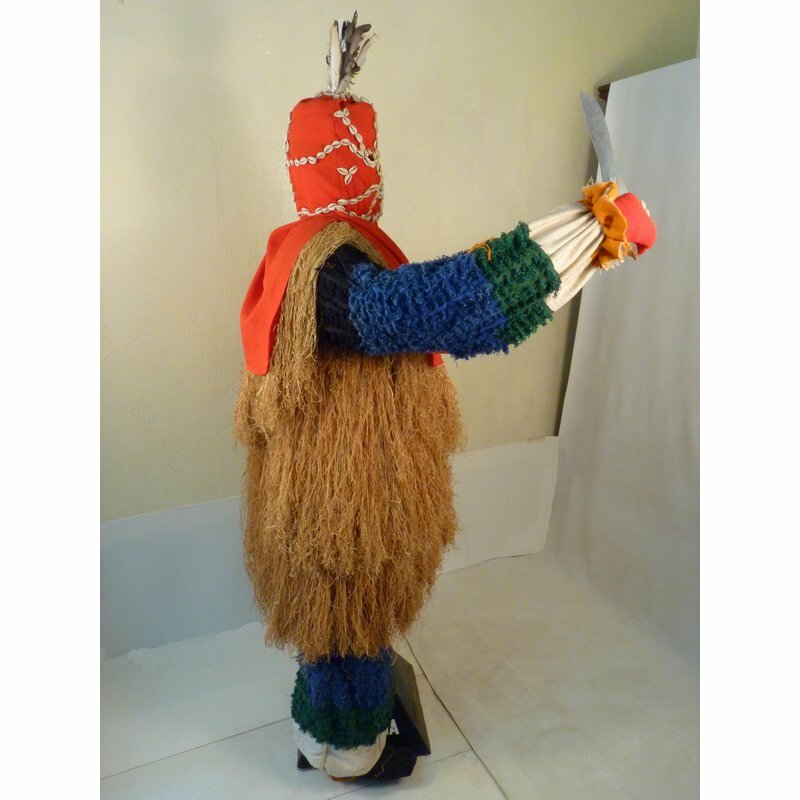 This is one a series of masquerade costumes commissioned by the British Museum's Africa Programme and gifted to the National Museum of Sierra Leone in April 2011 to celebrate the 50th anniversary of Sierra Leone's independence. 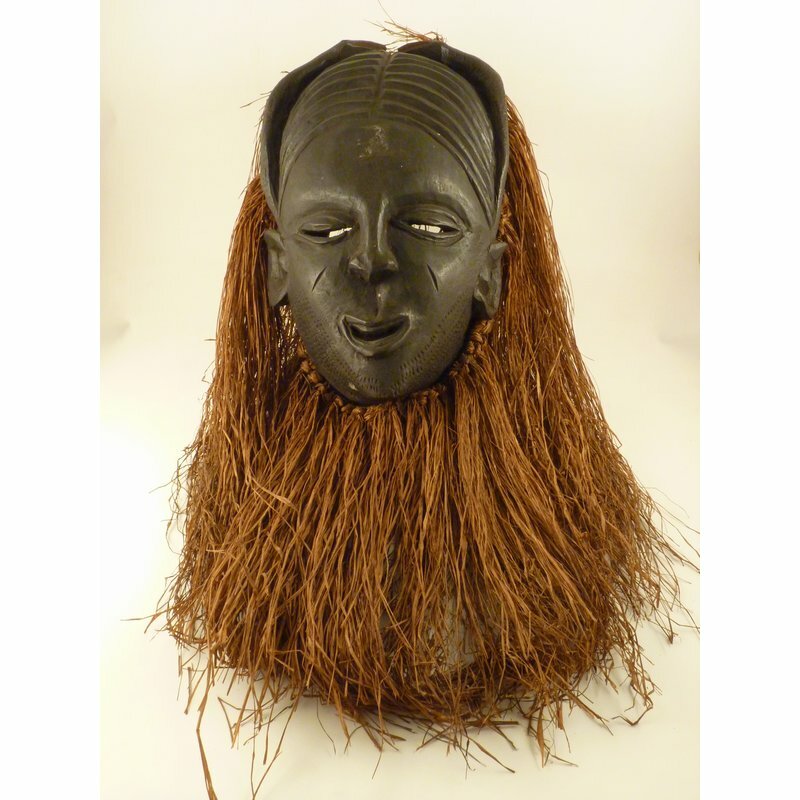 It was made by Koke Bangura of the Sierra Leone National Dance Troupe.